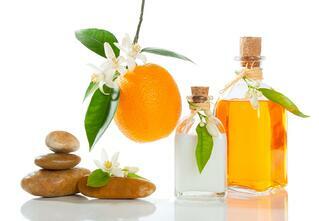 Financial projections estimate that the global fragrance and perfume market will earn $51 billion by the year 2022. These projections are based on how the fragrance industry continues to emulate and evolve with trends year after year. In 2017, the trends are all about individuality, gender neutrality and a return to nature. Smelling like celebrities is so 2000. In 2017, it's all about scents that can be personalized to reflect one's individuality. Commodity is a fragrance brand that invites consumers to create a unique scent by layering individual perfumes from various collections. Available for purchase is their Cocktail Kit which features five sample sized scents from the white collection and the black collection for a total of ten different scents to mix and match. The white collection is described as "bright, fresh and uplifting" while the black collection is described as "dark, complex and intense with an edge of mystery". This kit also includes "cocktail recipes" for the consumer to follow in order to create a suggested scent. For example, in order to make an Old Fashioned, the user mixes one part Mimosa from the white collection and one part Whiskey from the black collection. The notes from these layered scents create a sweet mandarin citrus smell combined with spicy scents of mahogany, oak, sage and cinnamon. Fragrance kits like these are gaining popularity in the perfume market as these types of kits offer variety and versatility. Another trend gaining speed in 2017 are scents that are gender neutral. Commodity is one of many emerging brands offering unisex fragrances. Women are seeking perfumes that provide more masculine notes and the marketplace is changing to accommodate this change in scent preference. In 2015, 29% of fragrances launched as gender neutral. Since 2015, gender norms have continued to evolve and the perfume industry is evolving correspondingly. As consumers continue to pay closer attention to the ingredients in their fragrances, the beauty industry has responded with perfumes that provide more than just a lovely scent. Labels showcasing a brief ingredient list filled with essential oils and other natural products is not only becoming the norm, but also an expectation of the shopper. Even more bonuses are awarded to products that boast to be organic, vegan, cruelty and paraben-free. Therefore, scents reminiscent of smells naturally occurring in the woods, on the beach, or in the mountains are highly favored as they are capturing the aromas of the earth without too much manipulation. As the perfume industry strives to mirror consumer desires, the 2017 fragrance trends of a return to nature, gender neutrality and individuality are making an impact on the beauty market. Which of these trends do you plan on implementing into your fragrance routine?